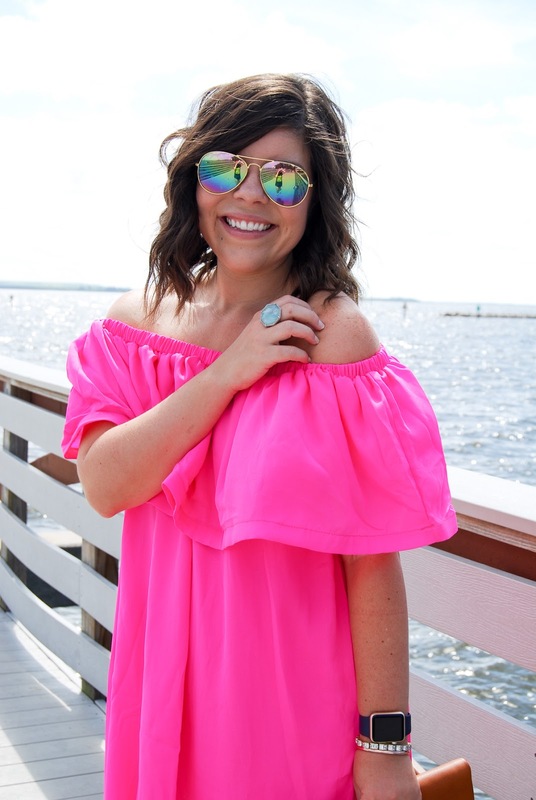 As I shared in my “10 Things You Don’t Know About Me” post, if there is one color I would wear every day it would be hot pink! So you know when I laid my eyes on this hot pink beauty I all but became a human heart-eye emoji! 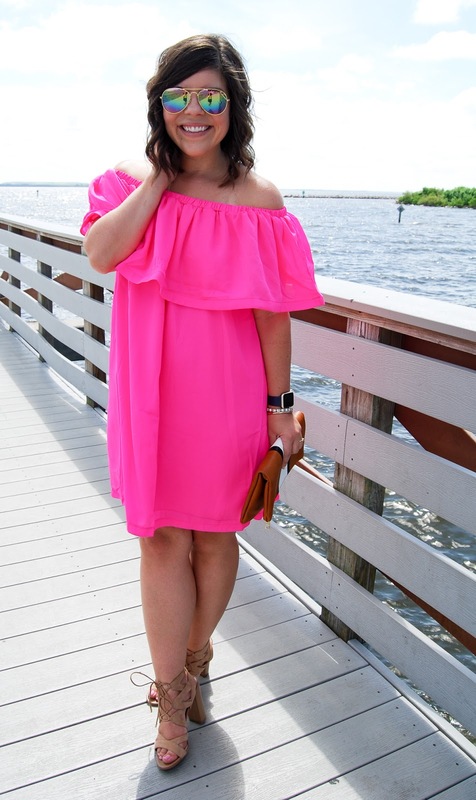 Although it may be September, and almost-officially fall, we all know that Florida hangs on to every last second of summer, so I still have lots of time to shimmy and twirl in this dress (& plans to) ! I hope y’all have some fun weekend plans! I’m headed to Gainesville to cheer on my boys at our season opener game! I’ve got my fingers crossed that this will be a great season for us (Lord knows we need it!) I may have some other fun things going on too… but more to come on that 😉 Enjoy your Labor Day weekend y’all! Previous Post The First Day of Football Season + Target GIVEAWAY! Aw amazing! You look great and that dress is adorable.. I have had my eye on it but was hesitant.. but it looks awesome on you!! Maybe i'll finally get around to ordering it now! 🙂 and YES to endless nachos & mimosas!!!! :p Have a great weekend! You look so amazing! That dress looks so pretty on you. That dress is so cute! 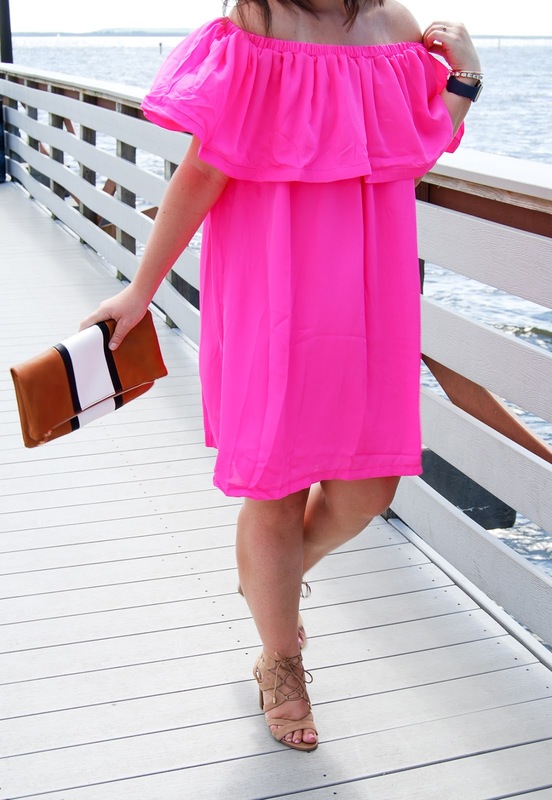 I love a pop of color. Loving your rainbow frames also! Oh my gosh this whole outfit is gorgeous! I am ordering this dress. I love it with the shoes and clutch! SUCH a cute look on you! 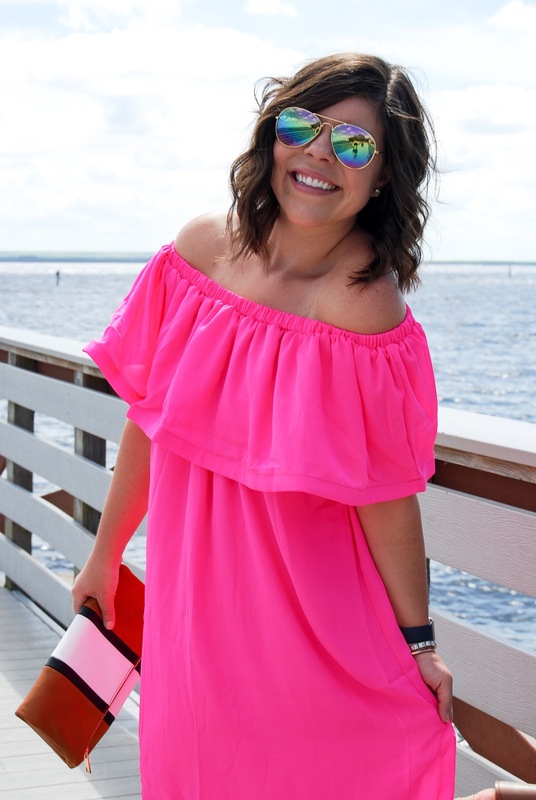 I love the bright pink and the clutch! 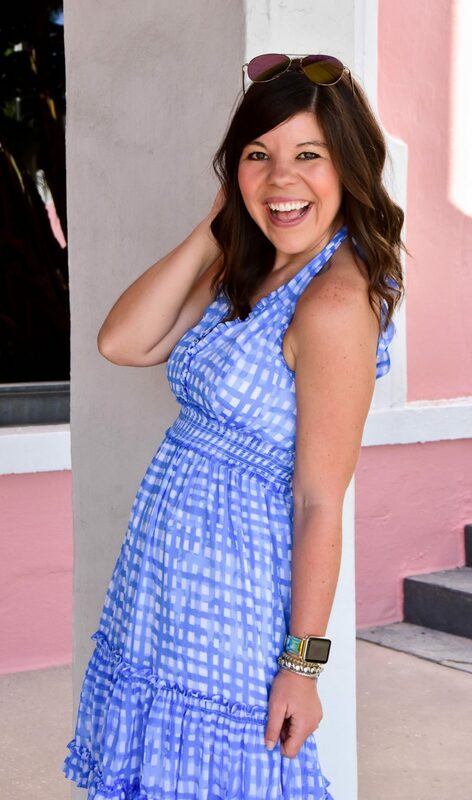 Obsessed with this dress! Looks darling on you! This color is fantastic on you!